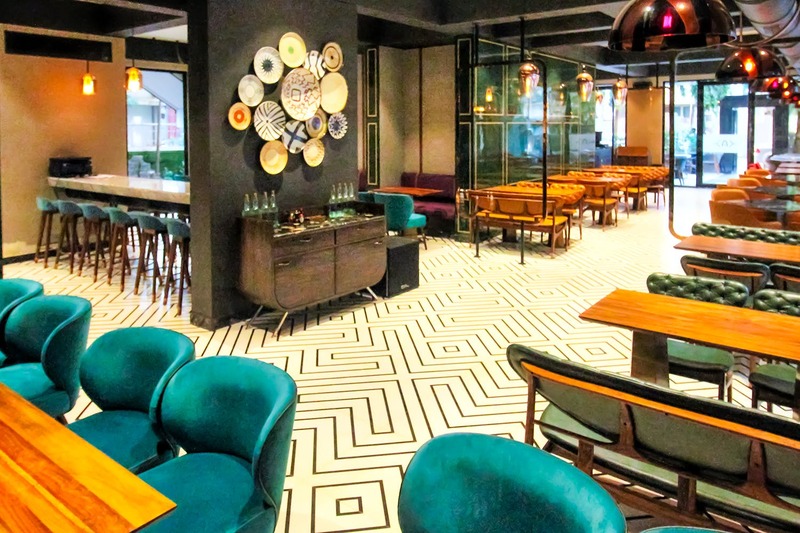 Andheri is host to a new bar & bistro called Autumn, that has a multi-cuisine menu and boasts of meals fit for any time of the day. What also got us excited is that they have an all-day breakfast menu option with choices that will boggle the mind. With both indoor and outdoor seating that is classy yet understated, their bar is one thing that stands out for sure. With an all-day breakfast menu serving things like a fresh fruit platter, egg preparations, aloo parathas and even sausages, bacon and ham, we’re pretty sorted. Apart from this, you can opt for sides, a variety of salads, soups, appetisers like nachos, cheese cigar rolls, Lebanese mezze platter, fish goujons, sausage & bacon rolls, prawns cocktail and so much more. They also serve waffles, pancakes, crepes, sandwiches, pizzas, pasta, burgers; and house favourites with vegetarian, chicken and seafood options. An oriental section with all sorts of delicacies, a desserts section with all of our favourite sweeties and beverages, ranging from coffee to tea and fresh fruit juices await you here. If you’re into Indian cuisine, they sure don’t disappoint! With options in tawa and grill and large plates serving our favourites, there is enough and more to tempt your taste buds. You can pick and choose from a wide variety of cocktails (classic, conventional and their in-house specials), beer, wines, champagne, single malts, whiskey, gin, tequila vodka and rum-based fuel, liqueurs, shots and even soft beverages. Some of their cocktails have caught our attention, like the Dutch Courage (gin, cucumber, mint, black salt & sweet & sour mix), Ginger Rogers (vodka, fresh litchi & ginger) and even the Yellow Bird (vodka, Galliano, crème de cacao and orange juice). To keep you entertained, they also serve some bar nibbles like makhana, crunchy lotus stem, masala peanuts, papad tacos and even peri-peri popcorn. Enough to entice you? We have to agree! If you want to enjoy a great meal with décor to match, you know where to head to. If you’ve planned a full night of fun and frolic or just want to have a quiet lunch or dinner date, this place won’t disappoint!